The pioneers of the "fast-casual" restaurant world—including Shake Shack and Chipotle—still lack one staple ingredient of the classic fast-food dining experience: A drive-thru window. 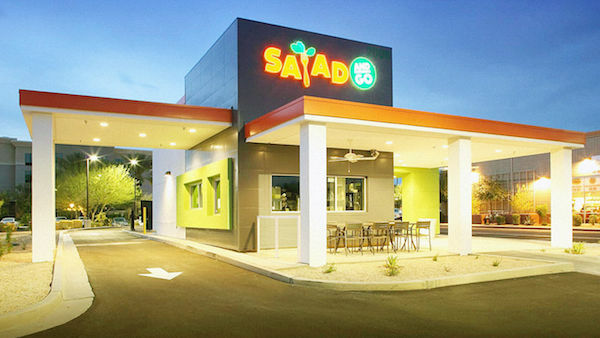 Enter Salad and Go, a restaurant chain based in Arizona that is selling healthy meals for less than $6 from a traditional drive-thru window. "We kept saying over and over again, why can’t I just get something great tasting and good for you with the same convenience, speed, and price of traditional drive-thru fast food?" says Roushan Christofellis, who founded the chain in 2013. So, the former elementary school teacher created one. Here, she discusses the inspiration behind her idea and how the Salad and Go concept is evolving. This is an excerpt from this full interview posted on Fast Company.